A radial graph of the frequency of occurrence of winds by point of compass. Use this graph to see where the wind energy at your site is coming from. 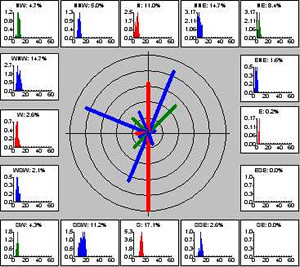 The Wind Rose is surrounded by 16 wind speed distribution graphs, one corresponding to each bar on the wind rose, showing the energy of the wind from each direction in addition to the occurrence. 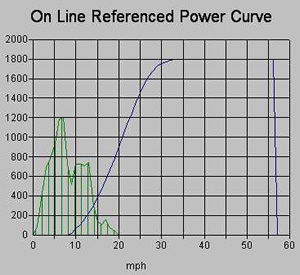 Shows the power output of the Wind Sphere™ as a function of wind speed. Creates a frequency-of-occurrence distribution of your wind speed. 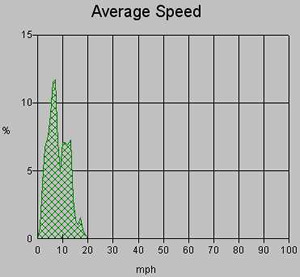 Plots your wind speed as a function of time. 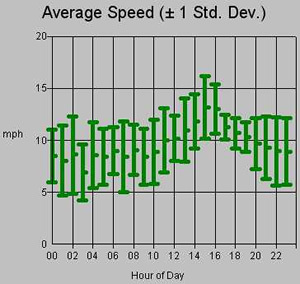 Displays the daily variation of your wind speed. All data is binned by hour of day, and the high/low bars show one standard deviation around the average value. 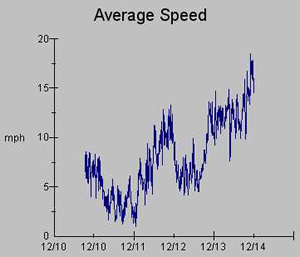 This graph shows the hourly trend of data, for example, it may be noticeably windier around 3 p.m. every day. Analysis of state and utility based tax incentives, grant or rebate programs and low-cost loan opportunities. Review of your local net-metering requirements. Verification of your installation costs and permit requirements. Analysis of optimal siting for your turbine. Review of building requirements and applicable codes. Full cost/benefit analysis showing anticipated installation costs, expected annual energy output and the value generated over the turbine's life. Contact us for further details of the full feasibility study (including wind speed study). Wind Sphere® is a trademark of GreenEnergy Technologies, LLC. We reserve the right to make product modifications and enhancements to all of our products. All rights reserved. Patent pending. Technical information based on preliminary results. Data subject to change.